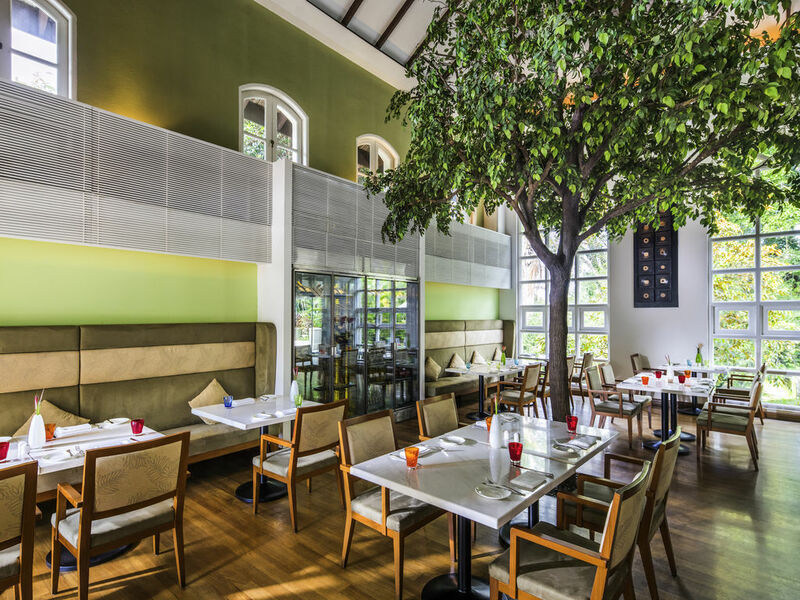 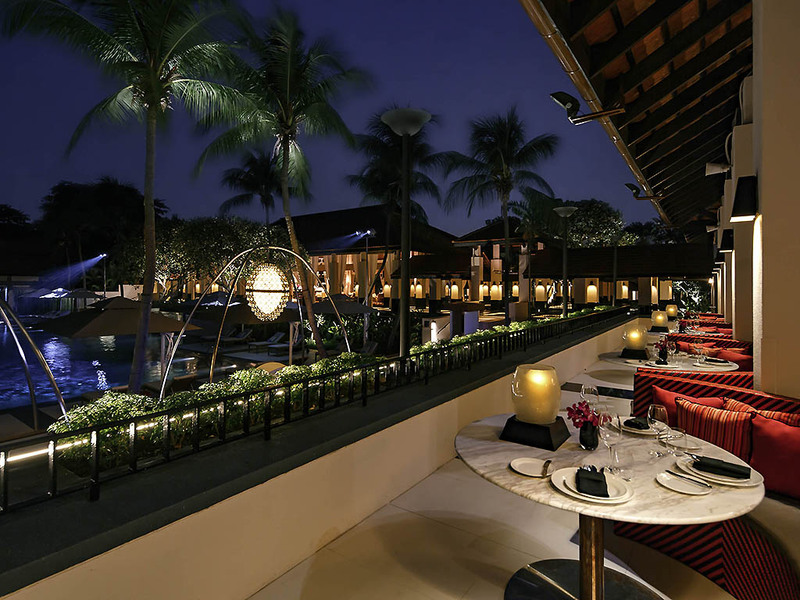 Featuring Pan-Asian and classical French delights, Kwee Zeen boasts alfresco terraces blessed with stunning sea views. 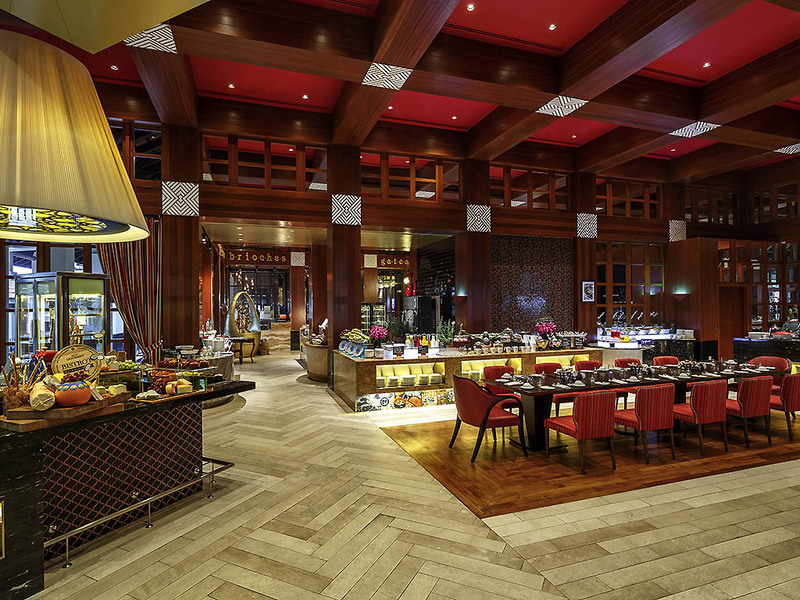 The weekly Magnifique Sunday Champagne Brunch is a highlight, showcasing 16 live ateliers of epicurean delicacies. 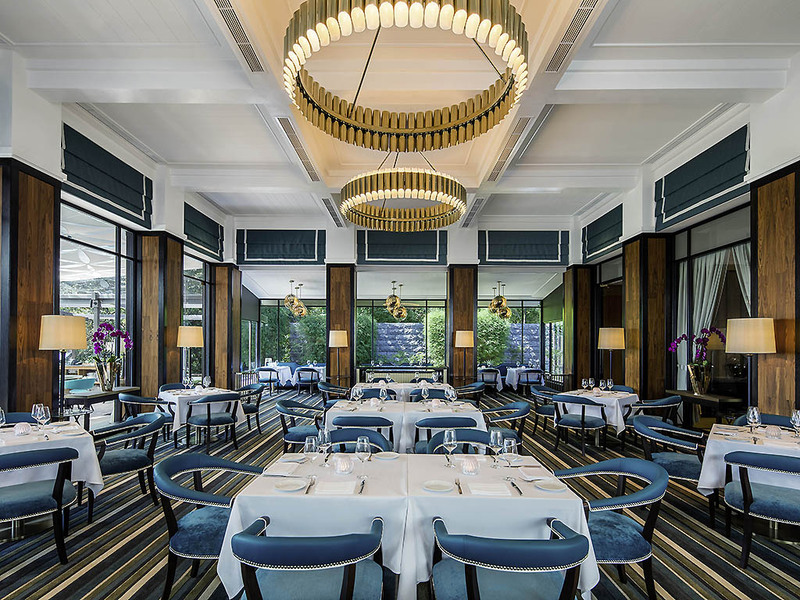 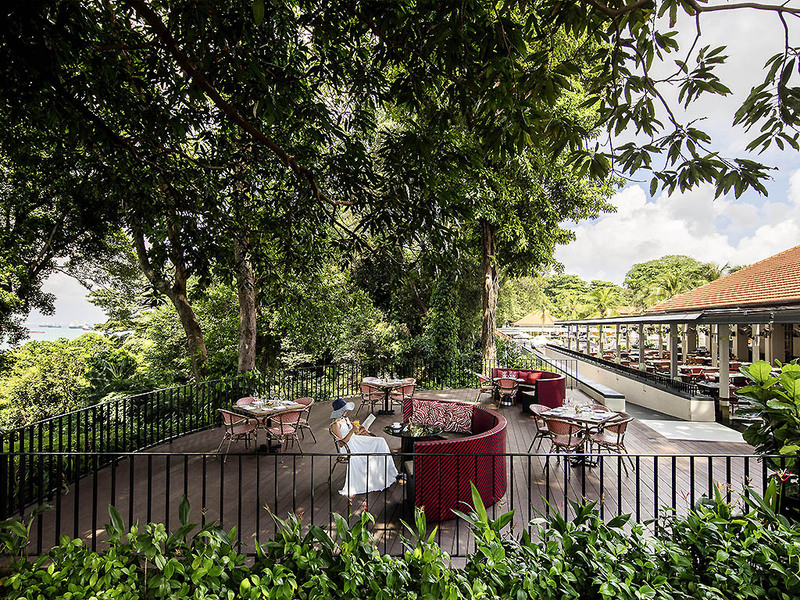 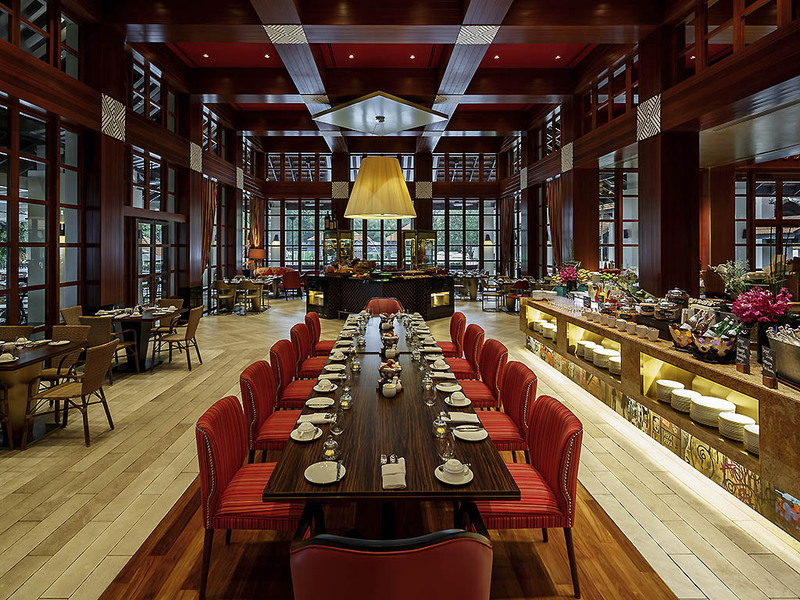 Sofitel Singapore Sentosa Resort & Spa, a 5-star luxury resort hotel situated atop the cliff above Tanjong Beach, is a haven of tranquility and relaxation with its collection of 215 rooms and suites, 4 dining establishments, award-winning spa and a Celebrations & Events Centre. 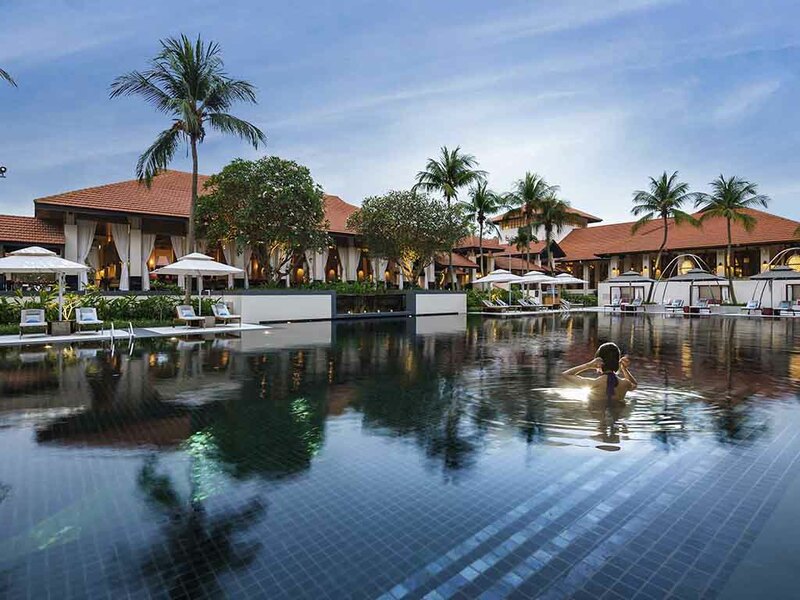 The resort located on Sentosa Island caters complimentary shuttle bus services to VivoCity and Paragon shopping malls. 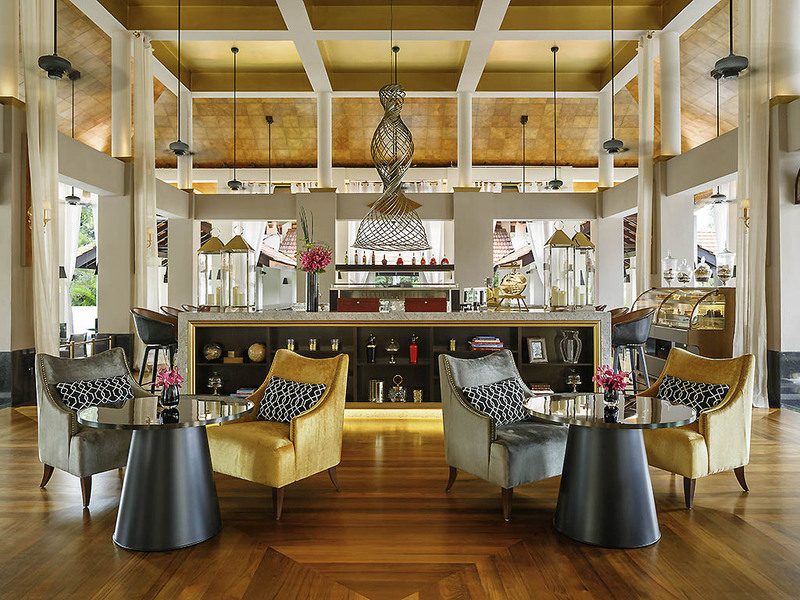 The hotel offers MyResorts, a suite of enhanced privileges designed for an amazing resort experience.